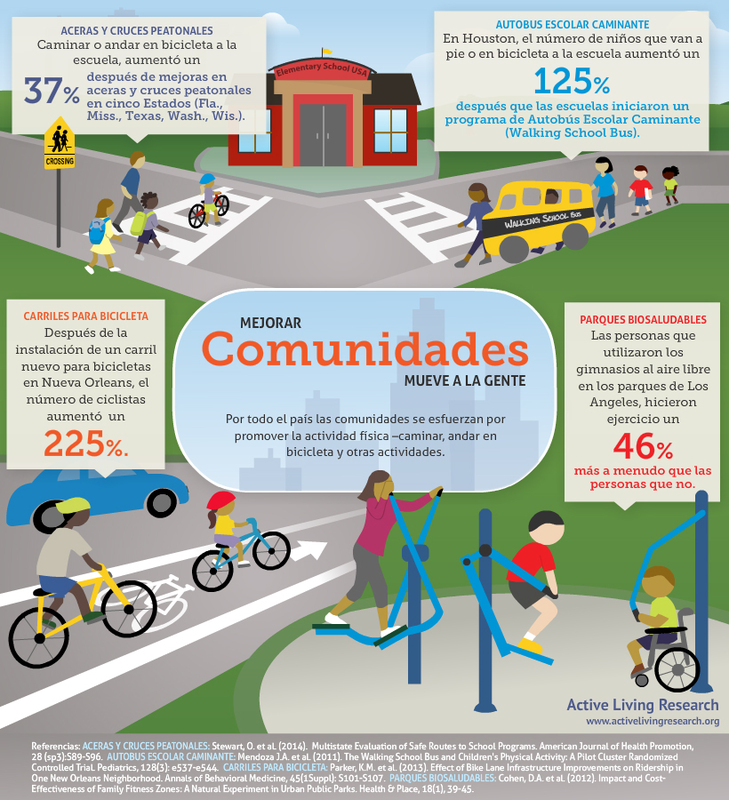 Our popular Changing Communites Gets People Moving infographic has now been translated into Spanish. Communities across the nation are doing more to ensure that streets, sidewalks, schools, and parks support walking, biking, and playing. The infographic highlights several studies which evaluated changes in physical activity after the implementation of built environment and programmatic modifications in different cities. For example, children are more likely to walk or bike to school when there are quality streets and crosswalks, and programs that promote safety; existence of bike lanes is related to higher rates of cycling; and the presence of recreational facilities close to home encourages more physical activity. This infographic can be downloaded for free in JPG format (517 KB) by clicking on the image or the "Download Original" link. A high resolution PDF version (3.88 MB) of this infographic is also available upon request. When requesting, please let us know how you intend to use the infographic.